That's it from me today, but we'll be back at 08:00 on Monday morning with all the latest news, sport, travel and weather from East Yorkshire and northern Lincolnshire. An exhibition celebrating the 20th anniversary of the first Harry Potter book is due to go on show in Hull next month. The display, at Hull Central Library, is inspired by The British Library's new exhibition Harry Potter: A History of Magic. There will be panels showing images of rare books, manuscripts and objects featured in The British Library's exhibition, plus images of material from JK Rowling's own collection. Hull myths, folklore and fortune telling will also be on display at the exhibition, which starts next Wednesday. The NHS trust which runs hospitals in Grimsby, Scunthorpe and Goole says it works tirelessly to keep its online systems secure. It comes as a government report says the cyber attacks which affected more than a third of NHS trusts earlier this year could have been prevented if up-to-date IT security measures had been in place. Northern Lincolnshire and Goole NHS Foundation Trust was affected by a ransomware attack twice in six months. The two attacks were very different in nature and demonstrate how hard we must work to stay ahead of cyber-criminals. Threats will always be present and our teams, alongside national cyber security specialists, are working tirelessly to keep our systems secure." We've got a cold and clear evening to come, before cloud thickens overnight. It'll be a breezy and cloudy start to Saturday, with the chance of a few bright spells and the odd shower. Hull's Holderness Road Library could be moved to another site, the city council says. The authority's lease on the current property comes to an end in May 2018, so is considering moving it into another council-owned building. The consultation over the future of the library is due to close next Tuesday. A village in East Yorkshire is up for a Britain in Bloom award tonight. The green-fingered folk of Hutton Cranswick, near Driffield, are hoping to win a gold medal for their floral displays in the Large Village category. It's up against seven other villages, including Usk in Wales, Coupar Angus in Scotland and Cullybackey in Northern Ireland. Three men are being sought in connection with the theft of more than £6,000 worth of tools from a workshop in Hull. Officers say it happened at a property on Hull Road in Dunswell some time overnight on Tuesday 24 - Wednesday 25 October. Each man was wearing a distinctive item of clothing, say police. One was wearing a camouflage jacket, another a two-tone hooded top and the third a two-tone beenie hat. The third man could have a tattoo on his neck. Anyone with information or who can identify the men in the CCTV image above is being asked to get in touch with police. Our BBC Weather Watchers were out making the most of a crisp and sunny autumnal morning earlier today. It's been a lovely sunny day in East Yorkshire and northern Lincolnshire so far. East Yorkshire tennis player Kyle Edmund has secured his place in the semi-final of the Vienna Open. Edmunds, from Beverley, beat Germany's Jan-Lennard Struff in straight sets, 6-2 7-5. It's his third ATP semi-final of the year. It's emerged that a phone call from Grimsby may have tipped-off a local newspaper just minutes before President John F Kennedy was murdered in 1963. The details of the call to the Cambridge News have come to light in a batch of declassified documents about the assassination. The chief reporter at the Cambridge News says no one now working at the paper knew the exchange had happened, until it was discovered in the CIA files. In that document it was mentioned that a call had been made to the Cambridge News warning that something big was going to happen and it would be good if the Cambridge News rang the American embassy in London for news." A report by the Humber Bridge Board said there had been more than 100 incidents of unsafe driving, including people doing U-turns or reversing out of wrong lanes in five months. Engineering works could mean longer journey times for people travelling from Hull to London for the next six weekends, according to Hull Trains. The firm says it is running a reduced service because of track improvement works in the Grantham area. There are more details of the changes here. Musician, artist and DJ Goldie says he's looking forward to seeing more of Hull when he hosts the Turner Prize in the city later this year. It was announced earlier that Goldie will present the prestigious art prize at an event at Hull Minster on Tuesday 5 December. An exhibition of the four shortlisted artists is currently on at the city's Ferens Gallery as part of the UK City of Culture celebrations. The winner will receive £25,000. Quote Message: Hull is having a storming year as UK City of Culture and I'm really looking forward to getting to see more of it myself." 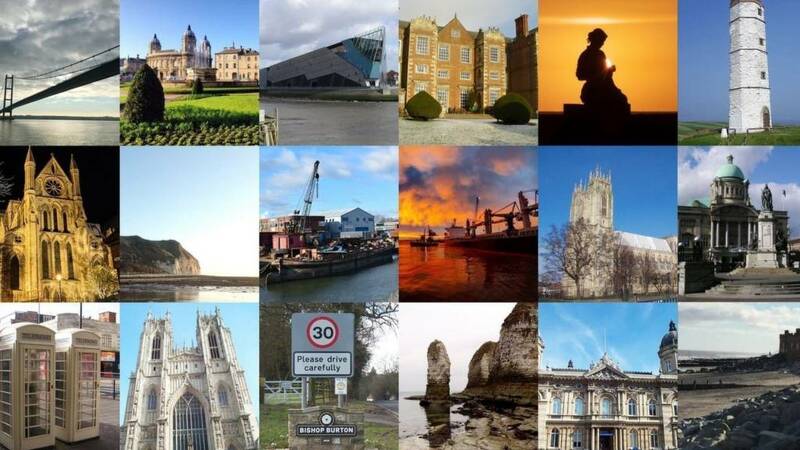 Hull is having a storming year as UK City of Culture and I'm really looking forward to getting to see more of it myself." There have been seven accidents and more than 100 "near misses" on the Humber Bridge in five months, according to the board which runs it. The Humber Bridge Board says incidents include people doing U-turns and reversing out of wrong lanes. About 75% of the near misses were a result of drivers not knowing which lane to go in following the introduction of a electronic toll system. New signs have been put up to try and deal with the problem, according to the Humber Bridge Board. A woman has denied murdering another woman who died following an assault in a Hull street. Joanne Hemingway (pictured), 39, was attacked outside a flat on Beverley Road on 29 June. She suffered "serious injuries" and later died in hospital. Angela Burkitt, 53, also of Beverley Road, pleaded not guilty to murder and intimidating a witness during an appearance at Hull Crown Court. She was remanded in custody and is due to face trial next month. The future of a major development in North Lincolnshire which would include a new stadium for Scunthorpe United is uncertain. Club chairman Peter Swann has told BBC Radio Humberside the club will not now be relocating to the Lincolnshire Lakes development and is now planning to improve the existing Glanford Park stadium. In April 2015, the club's plans for a new 12,000-seater football stadium on a 23-hectare site at the Lincolnshire Lakes development were approved. Peter Swann said: "It's pretty clear that the council has gone cold on Lincolnshire Lakes. We have been completely left out in the cold." Responding, the leader of North Lincolnshire Council, Rob Waltham, said the door is still open for a new stadium at the site and it's up to Scunthorpe United to move the plans forward. Humberside Police says it's seen a big increase in the number of bicycle thefts in Hull, with more than 600 stolen in the past six months. Officers say 164 cycles were stolen in September alone, almost double the figure for the same period last year. They are warning people to use a strong D-lock if they are leaving their bike on the street and are asking people to note down the serial number.